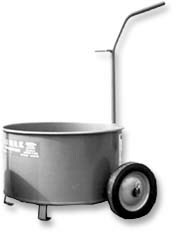 5-Gallon 24-Gauge All-Steel Hot Asphalt Grade Service Bucket. Features rolled rim, reinforced handle and additional side/bottom handle. Meets OSHA safety Specifications for Carrying Elevated Temperature Materials. Price/Each. 6 FOOT x 1-1/4 INCH DIAMETER RIBBED ALUMINUM MOP HANDLES WITH BOLTS. FITS LUCO MOP HEAD ADAPTORS 59101, 59101, 59200, 59300, 59400 ETC. 12/CARTON. PRICE/CARTON.